Extra-Virgin Cooking Oil (Olive And Coconut): What Is It And Why Use It? If you go to the store to buy olive oil, you might notice that there’s not just “olive oil.” Instead, there’s “extra virgin,” and “light” olive oil. It’s the same thing with coconut oil: you’ll have to choose between “virgin” and “refined” oil. (Sometimes, you’ll also see “extra virgin” coconut oil – they mean the same thing). There’s a lot of confusion about which type is best, and the truth is: each one has its uses, but it depends on what you want the oil for. Here, we’ll go over the differences and the advantages and disadvantages of both types. “Virgin” or “Extra-virgin” oil has been extracted in a way that preserves the natural antioxidants in the oil. Extra virgin olive oil was produced using only physical crushing or pressing. Basically, someone squeezed a bunch of olives until the oil came out and then put it in a bottle and sold it to you. There was no chemical bleaching or refining of the oil. Because it comes straight from the olive, virgin or extra-virgin olive oil has a lot of the good stuff from the olives still in it, like antioxidants. For coconut oil, “virgin” oil was extracted from the coconut using a gentle method called wet milling. Wet milling preserves the antioxidants in the oil. Virgin coconut oil doesn’t have as many antioxidants as olive oil, but it’s got quite a few. Obviously, the antioxidants are good for you. They help reduce inflammatory damage and prevent degenerative diseases. They’re good for your gut. They’re also good for the oil you’re eating: they protect the fats in olive oil or coconut oil from becoming damaged (oxidized). So it’s good to have oil production methods that leave the antioxidants in there. It helps preserve the quality of the fat and delivers you some nice health benefits. But antioxidants also give the oil a notable taste. In the case of olive oil, it’s sharp and peppery. For coconuts, it’s distinctly coconutty. And because real food isn’t totally uniform all the time, it’s impossible to guarantee an absolutely consistent taste from batch to batch. Each batch of extra-virgin olive oil or extra-virgin coconut oil is going to taste a little different because that’s just how natural food works. 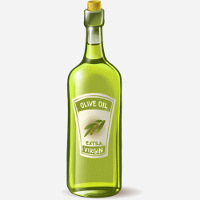 If you want absolutely uniform taste – or if you don’t want a strong olive taste at all – then you’d turn to refined oil. “Refined” means that the oil was somehow treated to remove impurities (with olive oil, refined oil is also called “light” olive oil – not because it has fewer calories, but because the color is lighter. The calories are exactly the same). Refining doesn’t change the fat composition of the oil (the amount of saturated, monounsaturated, and polyunsaturated fat). Olive oil is primarily monounsaturated fat no matter what you do to the antioxidants in it. Whatever health qualities you’re getting from the fat composition of the oil (the amount of saturated or unsaturated fat) will be completely unchanged. The same goes for coconut oil. Coconut oil is full of medium-chain triglycerides, which are great for weight loss. Refining the oil doesn’t change that. (Some websites claim that refined coconut oil has fewer MCTs, but it’s not at all clear where they’re getting that information from and this actual study says otherwise – when they tested refined vs. virgin coconut oil, either alone or blended with different oils, the researchers found no difference between oils in MCT content). Each Type of Oil Has A Purpose. Very briefly, extra-virgin oil is a little better for your health, but refined oil isn’t always bad. It’s just less good. As a general rule, use virgin oil by default, and switch to refined oil when you want a tasteless oil specifically. Extra-Virgin Oil Has (More) Health Benefits. To start with coconut oil, in this study, the antioxidants in extra virgin coconut oil helped protect kidney health and reduce blood pressure in rats. And this study found that virgin coconut oil was effective at reducing belly fat in obese men – that’s the dangerous visceral fat that collects around organs. The researchers praised the antioxidants and MCTs – you could get the MCTs from refined coconut oil, but not the antioxidants. In this study, women with fibromyalgia got either refined or virgin olive oil, 50mL/day (that’s just over 3 tablespoons, so it’s easily possible for a normal person to get that in a day). After 3 weeks, the EVOO group was noticeably doing better in terms of oxidative stress and fibromyalgia symptoms. In this study, elderly overweight people got either virgin olive oil or a mixture of corn oil, soybean oil, and butter (representing the kind of fats Americans typically cook with). After 3 months, the olive oil group had lower blood pressure and tended to have higher levels of HDL (“good”) cholesterol. This study found that the antioxidant benefits of extra-virgin olive oil acted synergistically with fish oil to reduce inflammation and improve lipid metabolism in patients with metabolic syndrome. In other words, Omega-3s are helpful, olive oil is helpful, and together they’re even more than the sum of their parts. This study found that the antioxidants in extra virgin olive oil helped protect people against inflammation after a meal. No matter how great the antioxidants in olive oil might be, there are still times when you don’t want your food to taste like olive oil. Mayonnaise is a classic example of a Paleo food that you might make with light olive oil – most people want mayonnaise that tastes like mayonnaise, not like olive oil. Making mayonnaise with light olive oil isn’t doing any active harm; it’s just passing up a benefit you could have gotten from the extra virgin oil. 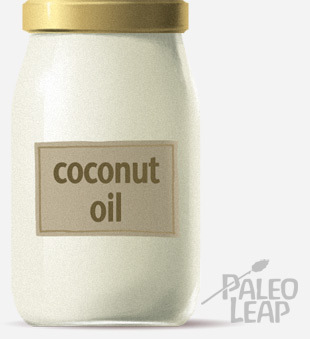 A few uses of refined olive or coconut oil can easily fit into a Paleo eating template. If you’re going to cook with refined oil, try to keep the temperature low, and/or add some spices. This is because refined oil has no antioxidants to keep the fats from being damaged by heat. Keeping the temperature low reduces the damage, and adding spices is a way to add some extra antioxidants from another source. Maybe you don’t want your eggs to taste like coconut, but what about basil? Black pepper? Thyme? Cayenne? Refined coconut oil and light olive oil are a nutritional step down from extra virgin oils. Extra virgin oils have some great health benefits and it’s probably better to use those oils most of the time. But eating well doesn’t mean eating only 100% perfect foods 100% of the time. (And in any case, there’s no such thing as a “perfect” food). If you use extra virgin oils most of the time (or other fats where “extra virgin” doesn’t even apply, like butter or animal fats), but you make occasional exceptions for foods like mayonnaise, that’s a perfectly reasonable adaptation of Paleo to people’s real-world tastes and preferences. Should You Take a Magnesium Supplement?